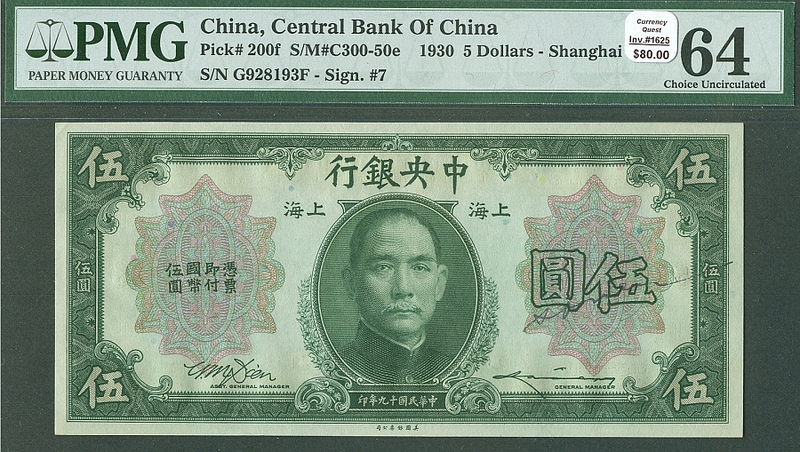 Central Bank of China, Shanghai, 1930 Five Dollars, Pick # 200f. Certified/Graded: Very Choice Uncirculated, PMG-64. 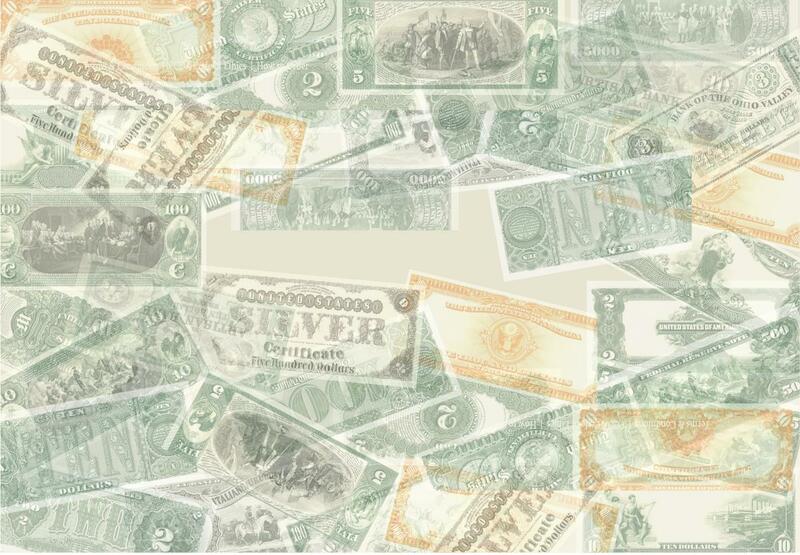 Printed by American Bank Note Company and virtually GEM, with great color and embossing.